Julia Alvarez is a writer whose most notable work is How the Garcia Girls Lost Their Accents, a discussion of her life in the Dominican Republic and in the United States and the hardships members of her family faced as immigrants. Many of her works examine the conflicts and benefits that go along with living as both a Dominican and an American. Julia Alvarez was born on March 27, 1950, in New York, New York, but she spent her early years in the Dominican Republic. She and her sisters were brought up along with their cousins, and were supervised by her mother, maids, and many aunts. Her father, a doctor who ran a nearby hospital, had met her mother while she was attending school in the United States. Alvarez's family was highly influenced by American attitudes and goods. Alvarez and her sisters attended an American school, and, for a special treat, they ate ice cream from an American ice cream parlor. The entire extended family had respect and admiration for America; to the children, it was a fantasy land. When Alvarez was ten years old, her father became involved with a plot to overthrow the dictator (military ruler) of the Dominican Republic, Rafael Leonidas Trujillo Molina. His plans were discovered, however. With the help of an American agent, he was able to get his family out of the country before being arrested or killed. The Alvarez family returned to New York. Describing the scene in American Scholar as their plane landed in the United States, Alvarez wrote, "All my childhood I had dressed like an American, eaten American foods, and befriended American children. I had gone to an American school and spent most of the day speaking and reading English. At night, my prayers were full of blond hair and blue eyes and snow.… All my childhood I had longed for this moment of arrival. And here I was, an American girl, coming home at last." and their possessions into a tiny apartment in Brooklyn, New York. Alvarez became a devoted reader, spending all of her free time with books and, eventually, writing. Alvarez went on to college. In 1971 she earned her undergraduate degree at Middlebury College in Vermont, and in 1975 she went on to receive her master's degree in creative writing at Syracuse University. She became an English professor at Middlebury College and published several collections of poetry, including Homecoming, which appeared in 1984. By 1987 she was working on a collection of stories. When Alvarez published How the Garcia Girls Lost Their Accents in 1991, the novel received considerable attention. Rather than a straight narrative, the book is a series of fifteen connected stories told in reverse order detailing the lives of four sisters and their parents. A comparison with Alvarez's article in American Scholar suggests that these stories are based on her own experience. Like her family, the Garcia family is Dominican and displaced in America. Like Alvarez and her sisters, the Garcia girls struggle to adapt to their new environment and the American culture. The praise Alvarez received for her first novel outweighed the criticism that a new novelist often encounters. She received grants from the National Endowment for the Arts and The Ingram Merrill Foundation, in addition to receiving a PEN Oakland/Josephine Miles Award for excellence in multicultural literature. 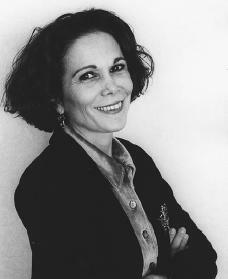 Alvarez's second novel, In the Time of Butterflies, was published in 1994. This work recounts the lives of the Mirabel sisters—Patria, Minerva, and Maria Terese (Mate)—who were assassinated after visiting their imprisoned husbands during the last days under the Trujillo government in the Dominican Republic. Each sister in turn relates her own part of the narrative, beginning with her childhood and gradually revealing how she came to be involved in the movement against the government. Their story is completed by that of the surviving sister, Dedé, who adds her own tale of suffering to the memory of her sisters. In the Time of Butterflies received a favorable reaction from reviewers, some of whom admired Alvarez's ability to express the wide range of feelings brought on by the revolution. The novel was a finalist for the National Book Critics Award in 1994. A collection of poems entitled The Other Side/El Otro Lado was published in 1995. It deals with the similar themes of power of language and having ties to two cultures. In the book's title poem Alvarez is commanded by a spirit conjurer (a kind of magician or psychic) to serve her own people in the Dominican Republic. But in the end she returns "to the shore I've made up on the other side, to a life of choice, a life of words." Her next work, Yo!, published in 1997, is based on Yolanda, one of her characters from How the Garcia Girls Lost Their Accents. Each section of the novel is told from the point of view of a different character, all of whom describe Yolanda as they see her. Something to Declare, published in 1998, collects a series of Alvarez's essays about her experiences growing up and finding her voice as a Latin American writer. Alvarez gave up her teaching position at Middlebury in 1997 in order to devote all of her time to writing. She continues to stay in touch with her roots by visiting the Dominican Republic four or five times a year, partly to check on the coffee bean farm she and her husband own. Profits from the farm will be used to create a learning center for Dominican children. In the Name of Salome, which tells the story of Dominican poet Salome Urea and her daughter, Camila, was published in 2000. Alvarez, Julia. Something to Declare. Chapel Hill, NC: Algonquin Books of Chapel Hill, 1998. Sirias, Silvio. Julia Alvarez: A Critical Companion. Westport, CT: Greenwood Press, 2001.